These gift ideas are for any occasion. 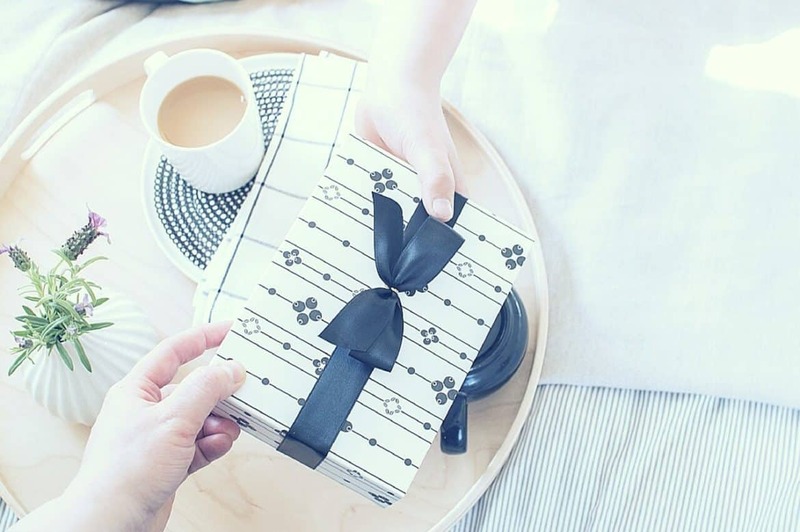 You can use this fitness gift guide to buy birthday gifts for a boyfriend or girlfriend, husband or wife and gifts for parents. As far as events go the fitness gifts for men can be for Father’s Day or Christmas, while the fitness gifts for her can be for Mother’s Day, Christmas and whatever else you want. As for gifts for a personal trainer, you can use the gift guide for your trainer or just your friends and family that need some fitness motivation. This fitness gift guide covers fitness essential such as the best headphones for running, the best wireless headphones, and the best running shoes for both men and women. 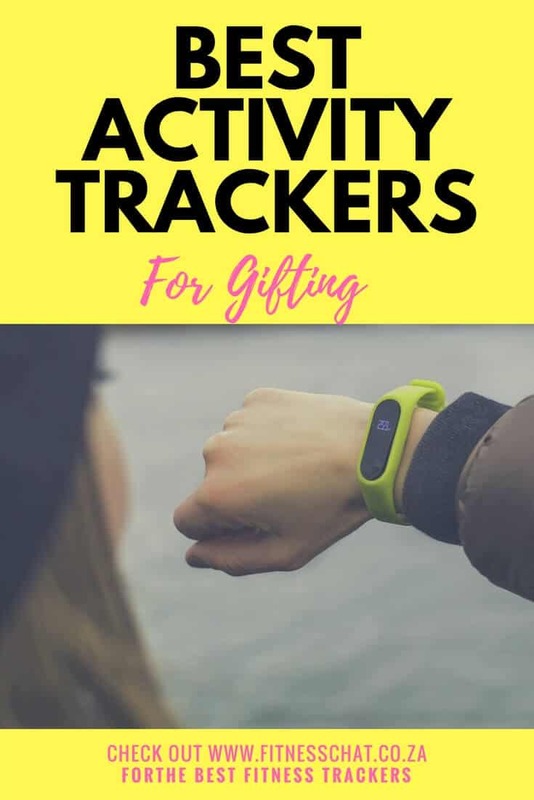 If you are shopping around for a fitness tracker and not sure where to put your money, worry not because that is covered in this fitness gift guide. And of course, the list wouldn’t be complete without adding the best fitness DVDs for anyone who wants to workout but their pockets aren’t currently deep enough for a gym membership or those that just prefer exercising from the comfort of their home. Fitness watches are here to stay and not just because they look cool on the arm. For anyone struggling with motivation to lose weight or just stay on the fitness track, fitness trackers go an extra mile to boost motivation. If you are looking for the best fitness gifts for men who need some inspiration to get off the couch and jump on the fitness wagon, a nifty watch such as the Garmin Forerunner 35 is a perfect gift. This sleek device is a bestseller on Amazon and just looking at the attractive square face, you can tell why without even delving into the features that set this fitness watch apart. Garmin Forerunner comes with a built-in GPS, and a live feature and a battery that lasts well over 3 days. The watch accurately tracks heart rate, sleep, the distance on runs or cycling, or swimming and calories burned. It goes without saying that intense work in the gym will produce sweat which must be wiped off at some point. Any man who grinds hard at the gym will appreciate this super absorbent and hypoallergenic set of towels. The set contains a large, medium and small-sized self-drying towels which can easily fit into a gym bag. These very soft towels are available in three masculine colours. Fitness bros naturally carry a bag to the gym. A gym bag, like this Adidas Defender III Duffel bag, should be large enough to hold a towel, water bottle, workout shoes, a tee, gloves, earphones, workout pants and sometimes supplements. A gym bag is essential to anybody that goes to the gym before or after work. Having all the gym necessities in one place such as a dedicated gym bag is a great way to be prepared for a workout at the start or end of the day. Not sure what to carry in a gym bag? Check out these gym bag essentials for women. There is a good reason manufacturers are doing away with cord sports headphones. Cables are annoying when you are in the middle of a good run, or weightlifting session. Cables fray, they get it the way of a workout, and they tangle. Almost everyone is now using wireless headphones because they make their lives easier and people are now able to do more with their hands. Plus, Bluetooth headphones have better sound quality, look way cooler than coded ones and importantly, are more affordable than when they were just introduced on the market. Bluetooth headphones are the best fitness gifts for men who enjoy running, cycling or working out with music. Men who love hiking, marathons, or mountain biking will highly appreciate receiving a hydration pack as a gift. Hydration packs surpass water bottles when it comes convenience. A hydration pack saves the runner or cyclist from slowing down or stopping along the way, in order to drink water. So what’s a hydration pack you ask? It’s built and shaped like a backpack but only lighter and fitted with a rubber container which is also as a bladder or water reservoir. The bladder has a small hose attached for sipping water. Hydration packs are not only limited to storing liquids- they are fitted with extra pockets which can be used to store essentials like keys, sunscreen, bank cards, pepper spray or a cellphone. Some men love building muscle while others don’t. Regardless of their goals, fit men and those wishing to start exercising regularly will tell you that they would appreciate a workout plan that actually yields results. Finding a gym workout routine that delivers on its promise is a tough mission. That is because we are living in a digital world where every corner you look, a fitness coach and their cousin is trying to sell a ‘customised workout plan’ which hasn’t been thought through well enough. Having a workout plan either for weight loss, or bodybuilding is very important. A workout program will force the user to show up every day in order to meet their fitness goals, keep track of muscles worked, and check progress. There are few workout plans for men that have stood the test of time- Bigger Learner Stronger is one of the select few. It teaches men proper nutrition, how to effectively lose weight, the basics of strength training, and includes a 12-week workout plan that delivers insane results. Life is too serious. Fun it up with a funny fitness gift, will you? It’s never a complicated mission to shop for a gift for a female fitness lover. You just need to know their favourite fitness activity and boom, you will find the perfect fitness gifts for her. So what activity does your sister, friend, mother, or wife like to do? Does she love running, yoga, swimming, lifting weights (squatting), and wellness stuff like essential oils? This fitness gift guide has all that and everything in-between. Happy shopping! Essential oils are natural products that are extracted from certain plants and the benefits are astounding. Essential oils can be used to treat: anxiety, depression, and stress; Headaches and migraines and insomnia. Essential oils are also known to relieve aches and pains, boost energy and the immune system, and among other things, restore dry and flaky skin. For cardio bunnies, a great pair of running shoes is heavenly. Runners often have, at least two pairs of shoes that they use on rotation, and replace quite often. Buying a fitness gift for her like running shoes will be a heart-warming gesture. So, what shoes should you buy for a runner as a gift? The Garmin Vivoactive 3 is waterproof up to 50 meters or 164ft. It makes an ideal fitness gift for swimmers, people who enjoy mud runs or running in the rain. The Vivoactive 3 allows the user to still continue tracking metrics deep underwater and not just when in the shower. Battery lasts up to 7 days. 7 whole days, can you believe that? It was the first Garmin wearable that was Garmin Pay™ ready. You can use the watch to pay for your purchases- no need to carry bank cards anymore. It can track indoor and outdoor activities such as aerobics, swimming. Hiking, running, and so much more. Namaste. Yogis are passionate people and you have to ‘flow’ with them if you are looking for that perfect gift. Check out this awesome selection of the best gifts for yoga lovers. This adorable duffel bag can fit a yoga mat, foam roller, phone, and has extra room for a water bottle, keys, small towel, and headphones. It’s perfect for a trip to the yoga studio or gym. Go the extra mile with this cute gift for yogis, by filling it with a yoga mat or yoga accessories. We’ve done the groundwork by choosing this a non-slip slip, non-toxic and amply cushioned yoga mat as an absolute gorgeous fitness gift for her. This hot jelly is fabulous for recovery from sore muscles- a must have for anyone gym junkie or yoga lover. 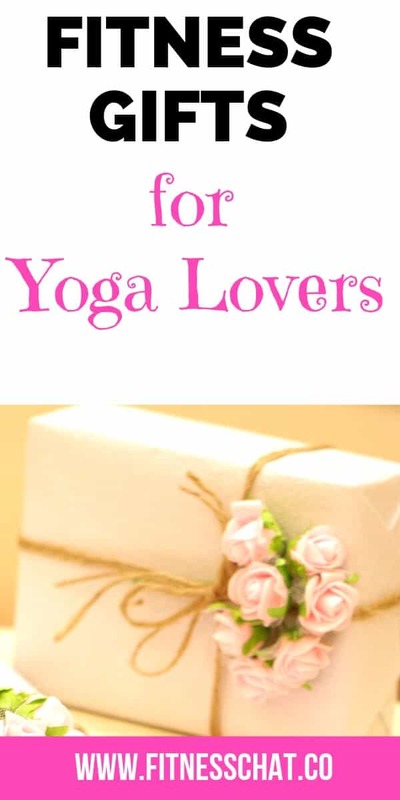 This book is a stunning gift for yoga lovers, would be yoga instructors and those just starting out with Yoga. The classic explains the yoga philosophy, ailments that yoga poses can relieve, and different yoga poses, accompanied by perfectly illustrated images. The book will accelerate any beginner to a pro in no time. These seem like great gifts for anyone into fitness! I may have to pick up a few for myself since I am going to focus more on my own fitness here in the new year. What a great gift guide, I love the snackers SOOO much. This is def up my alley and I know my friends would love them. These are all amazing fitness gifts to get ready for the New Year’s resolution! I’ve been thinking of getting a Fitbit lately. May have to buy one now! All the shoes look so comfortable and look like they would be an enduring product. Important aspects for me! Thanks for the insights. These are great gift options for those that are fitness oriented. I have a Jawbone activity tracker and I love it. I really like that it tracks your sleep cycles. Well, I would love a new pair of tennis shoes. A fitbit would be nice too. Maybe Santa will bring me both!! I so need to get the Garmin. I lost mine last year and haven’t replaced it. I miss it so much. Love those headphone options, need to get some for my husband! I am saving this blog post. I like how you put everything together. One stop to shop all I need for this new year. I need to be back on gear. Thanks for sharing. There are some great gifts on this list. I’m looking into the bluetooth ear buds since my phone no longer has a connector for those. I am loving the wireless earphones! They’re perfect for jogging or for walking. I can never workout without some music on! Those are a must have! I’ve been dying to get one of those watches. I hinted to my husband. I’m hoping he gets the hint. I need new cross training shoes so that would be a good gift to get myself! My old shoes have holes in them! Gifts for fitness are such a good idea, because lots of people have goals around fitness for the new year. I need to get some new workout shoes. The arch of my foot hurts anytime I do anything for an extended period of time. I am sure better shoes would help. you have made the ultimate gift guide for sure! I eyeing a few of the items for gifts for my family. Excellent ideas! And you just reminded me my husband doesn’t have any earbud headphones so I need to go order those right now! We just moved a couple of months ago and the only headphones he really likes were misplaced. Love the collection that you have created here for Christmas gifting! So many people have a resolution to lose weight and become more fit once the new year hits, this is a perfect seasonal gift! I just recently started doing Barre and I love it. I haven’t gone to a class but I do the workout at home so the Amped DVD would be a perfect gift to give to myself. lol. This is such a great gift guide for fitness lovers! I absolutely love the color of the ASICs sneakers. I love Jillian Michaels! Therefore, I wouldn’t mind having a DVD set like this. With being a busy mom of three, including a 5-month-old, I don’t have the time or money to go to the gym, so this would be perfect for me. This is a really great gift guide for fitness fanatics! My husband actually got me an Apple Watch because I want to keep a better grip on my health. What a great post as I found few gift ideas for myself. 😉 Okay, actually there are few really great X-mas gift ideas to my husband as well. Thank you for sharing! The wireless headsets are always popular for any kind of use. All my yoga friends would enjoy receiving any of these gift ideas. These are some great gift ideas! I need to get some better headphones. I jog daily and the ones I use aren’t the greatest. So I’ll add them to my list! I exercise very regularly and I can definitely say items. I need new headphones while I’m exercising. The ones I have are old and don’t always work. I might have to add this to my Christmas list. I love doing yoga but not my husband though I think I would appreciate this gifts more than him. This is a great addition for my yoga workout, however we both love reebok brand so its a win win. These are some awesome fitness gifts. I think a fitness watch is such a smart, practical gift. Great list for fitness peeps. I never thought to use essential oils after working out or with yoga. That looks like a nice diffuser. A hydration pack is a must for hikers or runners. It would be a great gift for sure. These are some great gift ideas. The hydration pack is a great idea that I never would have thought of. I know a few people that these gifts would be perfect for. I can’t wait to start my holiday shopping. These all look like great gifts for someone who loves fitness! I know I would love to see a few of these under my tree! LOL!! I saw the perfect gift for my yogi. I know she will love the muscle jelly! These are great gifts ideas. I want the non-slip yoga mat looks good to use. Perfect ideas! This is the perfect list for a couple of fitness lovers in my life. Thank you! Great ideas! My husband is into his fitness and I think he would like any of these gifts. Its hard to choose! Indeed such great compilations of ideas on what to give over the Holidays. I would love to receive any of these items too. What great gift ideas that will encourage a better, healthier lifestyle. I have to say, I almost bought the chicken legs a few months ago for my mother. I love them. What great gift ideas that will encourage a better, healthier lifestyle. I have to say, I almost bought the chicken legs a few months ago for my mother. They are great! That great gifts ideas for fitness freaks , I like those gym bag , watch and good running shoes.